Crawlspaces are mini basements really. They tend to have more moisture vapor because a vapor barrier over the ground is missing. In the Southeast, vented crawlspaces allow warm, moist air to flow through them, which condenses all over everything in the crawlspace. Damp crawlspace odor is second only to damp basement odor. The difference is the sources of moisture are surprising and the location of the odor is in the living space. The sources of moisture wouldn’t be a surprise if you spent as much time there as in an unfinished basement. Not going to happen though, so here they are. Primary Moisture Sources. 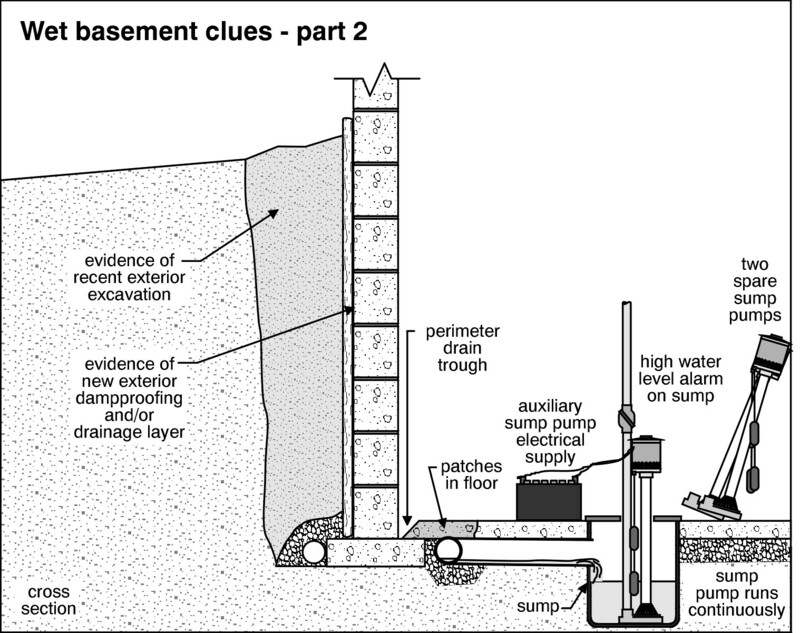 There are four primary directions moisture comes into crawlspaces. Damp Basement Ailments. In our last blog post we said that a crawlspace was a mini basement with special features. The most notable one is a dirt floor. Water wicks through soil 16 feet. Look out if your house happens to be vertically closer to a lake, river, or ocean. Most crawlspaces are vented. The original thought is that venting is needed to clear the evaporated soil moisture out of the crawlspace. May work fine in Michigan, but is usually a bad deal in Georgia..
All this moisture vapor sneeks into the living space through holes in the floor as the attic heats up. Another feature of a crawlspace is that builders don’t seem to think debris needs to be cleaned out once the house is built. Homeowners also store things in crawlspace. If those things are organic, such as wood or fabric, the moisture supports mold growth. That awful smell is not the mold itself. It’s whatever is deteriorating—the wood or fabric. Missing Vapor Barrier. The first major problem is a missing vapor barrier. A missing vapor barrier is a problem in almost every house that has one. Moisture vapor easily evaporates into the crawlspace. However, the United States national building code only requires them in closed crawlspaces. I don’t get it, but it’s true! I’m not sure about our Canadian friends. Incomplete Vapor Barrier. The second, less severe major problem is an incomplete one. By this, I mean all the soil is covered. For some wacky reason, Georgia’s pest control commission thinks 70% coverage reduces moisture enough to reduce the potential for termites? Huh? Don’t they know the center of the crawlspace is drier than the perimeter? Unfortunately, it’s the center, not perimeter that gets covered. It doesn’t work well either way though. Incorrectly Installed Vapor Barrier. The third, least severe major problem is covered, unsealed vapor barrier. The seams need to be lapped by 6-12 inches and the sealed. I used to recommend 3 beads of silicone sealant. However, I not heavily favor 4” bitumen tape, normally used to flash windows and doors. The plastic will rip before the tape can get kicked off the joint. The vapor barrier also needs to be sealed to the foundation walls and the pier columns. The recommendation is to go up 6 inches and seal the barrier to the wall and piers. How depends on what the wall or piers are made of. The bottom line is that the gas (water vapor) must be contained below the vapor barrier. Wherever there are open seams or holes, gas will went right through them—no problem! Except, it help crate that disgusting damp crawlspace smell. Caution: Don’t do this with a wet crawlspace. Dry it out first. Where necessary, make provision for getting excess moisture under the crawlspace out. Vented Crawlspaces. Somebody, after WWII thought we all should vent our crawlspaces. There were no studies or science to support the recommendations that adopted into our building code. Somebody we respected said it was a good idea, so as a Nation, we did. Now, in certain parts of the country, we rue the day! Here’s the environment. The soil keeps the temperature of the crawlspace cool in the summer time—well below the dew point of the warm, humid air outside. In this cool space is wood framing members, usually metal water pipes, and perhaps some metal ductwork. Did I mention that sometimes this metal is uninsulated or has holes in the insulation? Let’s run the air conditioner to make the ducts colder still. The humid warm air wafts in through the vents, across the metal and wood, and hopefully out the other side. Unfortunately the colder wood and metal wring the moisture out the air on contact. Now there’s plenty of water to supply the mold growing in the area! Here comes the smell! When there are holes in ductwork insulation, the condensed moisture gets trapped in the insulation. It too supports mold growth. When the air flows through the duct, it pulls this moldy air in along with it too! The best information of crawlspaces and what to do with them is www.Crawlspaces.org. They aren’t the last word on the subject though. There is an excellent book for your climate published by the Energy & Environment Building Alliance (EEBA) that discusses what to do with crawlspaces in various climates, ranging from cold-subarctic to hot-humid. For the warm-humid environment of the Southeast, I know there are a couple of other solutions not discussed at Advanced Energy’s crawlspace website. Moisture investigation (mold inspection) and mold testing is found on our mold website. Speaking of basements and crawlspaces, the next common complain we’ll write about is cold floors! ‘Look forward to seeing you next time!